What it dew Trillions! 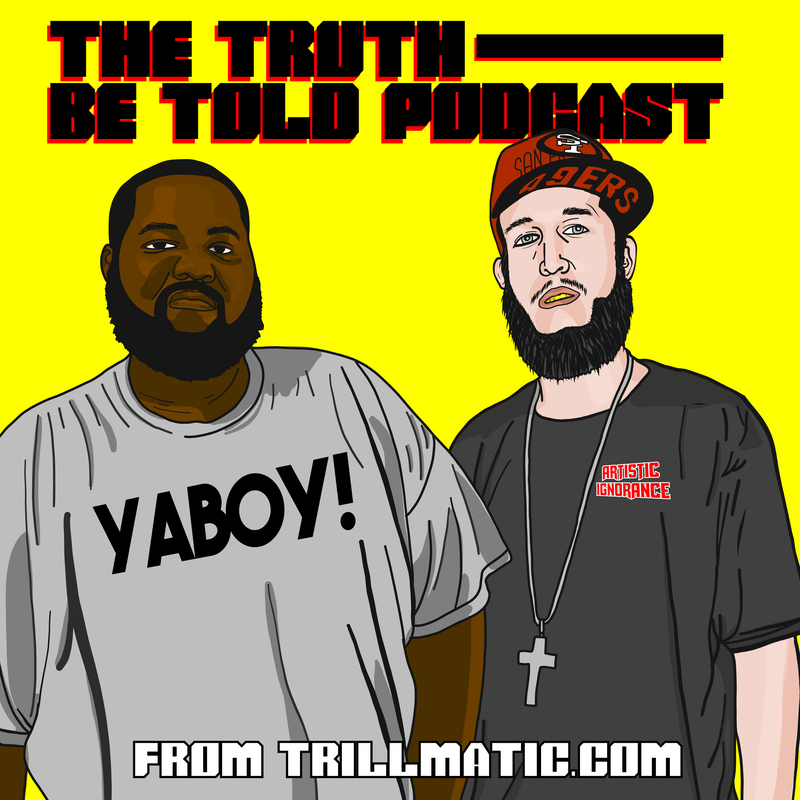 Back again with episode 120 of the Truth Be Told Podcast from Trillmatic.com hosted by Riffa & Bigg UU from Killeen. Thanks for supporting your favorite Hip Hop podcast! Be sure to leave a 5 star review! In this episode we kick off talking about Season 2 of Marvel’s Luke Cage (2:00) and his infamous dab, Jamaican accents on the show as well as the new comedy flick Tag. (11:13) Nipsey Hussle slapped a full grown man at the BET Awards but is it really a good look for Nip? (14:00) Permit Patty goes viral and is taken out the game within hours. (19:14) James Harden has won the MVP but should he have won? Was Lebron James a better choice? Cam Newton is not for play. (30:16) Akon is the real life T’Challa in Wakanda. Or a super villain. (33:20) BET Awards went down this weekend and Snoop Dogg is officially a gospel artist now. Black Panther won best movie. Meek Mill’s performance and more from the BET Awards. (48:10) JAY-Z’s Reasonable Doubt released 22 years ago and hasn’t missed a step in those 22 years. Drake can also come back for the win at the end of the month. And why GOOD Music can’t get it together. (58:50) There’s talks of Childish Gambino stealing from an unknown artist for the song ‘This Is America.’ Do you think he did? Also, listen for what his manager had to say. We also talk about the show Atlanta.